Dr Ashe (Donald Eccles) is working late on some bacteria slides. His secretary, Elizabeth Bayle (Pauline Delaney), tells him not to work too late - it's already midnight - and departs. He locks the door after her and opens the safe. 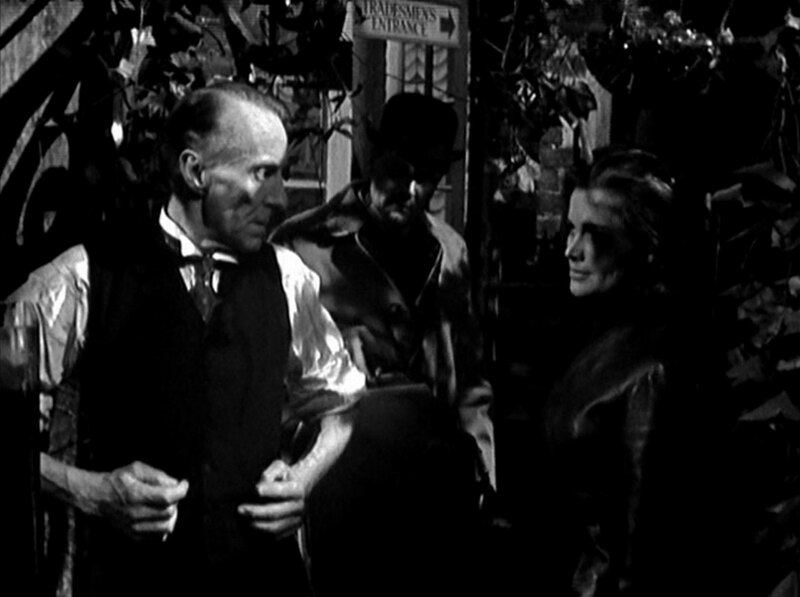 She smiles to herself as she passes through the greenhouse and DeLeon (Gordon Whiting) slips from the shadows and heads for the Doctor's study. He attacks the academic at the safe and a petri dish smashes to the floor. They fight and De Long lands in the spilt culture as he knocks the doctor down but recovers and steals some golden eggs from the safe. Steed and Cathy are having breakfast as his flat - she's moved in while her place is being redecorated and he's moved to a hotel, but Cathy has to supply "slap-up bumper meals" in return. He points out the article in The Morning Post about the break-in at Dr Ashe's lab. He explains the doctor has his own lab and rarely publishes results, but was working on virus research; he's arranged an appointment for her and wants her to discover if anything was actually taken. At the lab, the doctor and Elizabeth have cleaned up and he cheerfully says the lab will be sterile again in 24 hours. She asks him if it were dangerous and he dismisses the question then asks about 'this magazine woman'. She names Cathy's magazine as 'Galileo' and looks alarmed when the doctor hold his head in pain, but he dismisses that also - trying to cover-up the robbery. Cathy arrives and explains to Dr Ashe that 'Galileo' seeks a personal approach to science, wanting to know what scientists are thinking and who they are instead of just what they're doing. He tells her it's a 'frightful idea' - scientists are boring, narrow-minded and self-opinionated. She asks about the break-in and he recites the newspaper story, with Elizabeth's support, and denies being there when it happened. He goes to show her his routine pathology work and winces in pain - and explains it away with a story of straightening up into a cupboard. 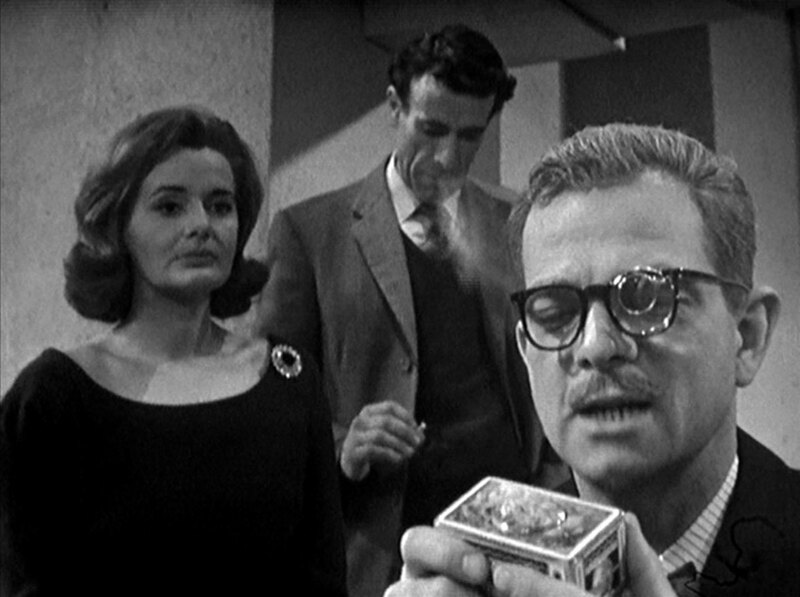 Cathy examines his locked cold storage cabinet and he explains that he keeps it locked as the lab is a pretty public room but denies that he keeps dangerous material in it, but when she notices the spot he'd sterilised he concedes he did it with a blow torch as he couldn't guarantee the nature of the virus involved. At DeLeon's scrap yard, Diana (Irene Bradshaw) reassures DeLeon, who is convinced he picked a nasty bug up in the lab. He swears he'll have a word with Redfern, who only paid him £100 for the job when Hillier (Robert Bernal) arrives. He turns the place over and demands the goods when Diana tries to stop him, but DeLeon refuses to do so until he knows what's wrong with him and the gangster leaves empty handed. Cathy meanwhile revisits Dr Ashe, offering to help him but he still denies everything. Cathy asks after Elizabeth and he tells her it's her day off and he doesn't enquire into the movements of others. Elizabeth is in the antique shop of Redfern (Peter Arne) who is complaining that the £2,000 he's paid her for information is proving very unprofitable. He asks her what effect the stolen virus would have and she suggests respiratory failure, and is shocked to discover that Leo is ill and says he must be isolated. 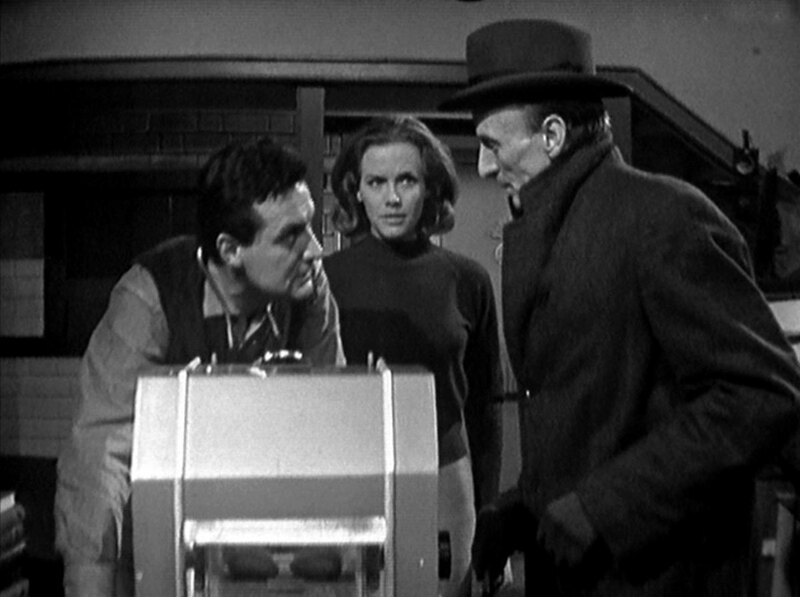 Hillier arrives as she storms out and is told to get ahold of Campbell and Hall, and an ambulance... Leo is trying to return to the lab to find out what's wrong with him when Campbell (Louis Haslar) and Hall (Charles Bird) arrives, saying the ambulance was ordered by Redfern. DeLeon claims to recognise them but, being quite delirious, is ignored by Diana and he's carried out. 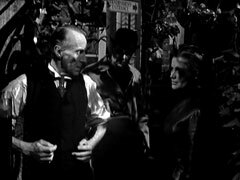 Elizabeth returns to Redfern's and learns that DeLeon won't be brought there - he rings Hillier, who's waiting at a telephone box in the countryside, and tells him they're on the way. Hillier sets up a set of fake headlights and causes the ambulance to crash, killing all on board. Steed returns home to find Cathy 'turning it into a factory'. He tells her the ambulance has been burnt out with thermite after the crash. He tells her the remains of three bodies are completely unidentifiable and scoffs at her suggestion to have the teeth checked, saying it's a fallacy and quips that most dentists wouldn't recognise their own teeth if handed to them on a plate. Cathy shoos him away, afraid he'll break the pot she's repairing, but laughs anyway. She tells him that Ashe still refuses to admit anything was taken and Steed tells her a safecracker they used to use had been in the wreck - his tungsten carbide drill bits with diamond tips, which he wore in a locket, had survived the conflagration. He asks her to call on Ashe again - it's been four days and the stolen item is either refrigerated or someone is very worried about it. He says he'll visit Mrs DeLeon and Cathy says he has as much tact as a rhinoceros; he objects and leaps to his feet, managing to smash the pot Cathy had just pieced together. She goes to see Mrs DeLeon and finds her packing a suitcase, keen to escape the flat which has been ransacked by Hillier. She angrily tells Cathy Leo didn't tell her what he stole or where it was, and nor had he told the people who hired him. She flounces out, leaving Cathy to search while Elizabeth arrives at Redfern's shop. She describes the case to Hillier to help him find it, and hopes the electric plug is still connected, then says if she'd stolen the case she'd have dropped it in the ocean. Redfern blithely threatens her with the same fate as DeLeon and orders Hillier to keep an eye on her, but first to search the scrap yard. Hillier arrives at the yard about the same time as Cathy and Dr Ashe. Ashe complains about the cold as they shuffle through the grubby snow in the yard and insists it must be inside as it ought to be plugged into the mains. They return inside - Hillier climbing in a window to keep an eye on them - and Ashe describes the case to Cathy. She suddenly tells him to go home as it would take a squad of men to search the yard properly, and virtually shoves him out the door, then goes to the fuse box. 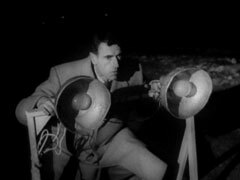 Following a trail of electrical cable, she locates the case hidden inside a drain but is surprised by Hillier who she disarms and fights off. He runs away and she takes the case to Steed, who tests it with a stethoscope and some electronic equipment before opening it. 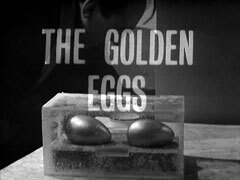 Just then, Dr Ashe arrives and orders him to close it carefully and tells them the eggs contain a virus - Verity Prime - the world's latest killer. He demonstrates to Cathy how he grows viruses inside the yolk and albumenic fluid, and tells her this new virus causes respiratory paralysis and death. Ashe tells Cathy he obtained the original culture from a colleague at a conference some years ago, meanwhile Redfern tortures Elizabeth to reveal all she knows about Cathy - then tells himself it's worth half a million. Ashe shows Cathy some of his research and laughs at her suggestion that he turn it over to the government. Ashe explains the virus to Cathy and she calls it 'myxamatosis for us instead of rabbits'. Redfern meanwhile announces he's leaving the country in 24 hours, and intends to have the case with him - ordering Elizabeth back to work and Hillier to steal it. Cathy asks to take over Verity Prime and waits until Elizabeth returns before ostentatiously leaving with the case, as she tells Steed later when he offers to take the case to East Maxted personally. He leaves to fetch some dinner and moments later Redfern arrives with Hillier and orders her to unplug the case and come with him to finalise a deal. the 'phone rings as she leaves but she's hurried on with a wave of Redfern's revolver. Ashe was calling and, worried at developments, he grabs a bottle of benzine with which to destroy his experiments. Cathy is incarcerated in a concrete bunker, where she challenges Elizabeth for selling out. She defends herself, saying with Redfern you're either in or dead, but looks worried when Cathy wonders if they'd be offered the same choice. Elizabeth returns to Redfern, who has just made sure the eggs are still inside the case, and is greatly concerned when Redfern tells her she'll travel with them as far as Valencia. Cathy suddenly realises the master switches are in her cell and turns off the power, overpowering Hillier when he arrives and escaping. When she emerges, Elizabeth tells her where to find the case but Redfern shoots at them in the dark when they go to collect the case. 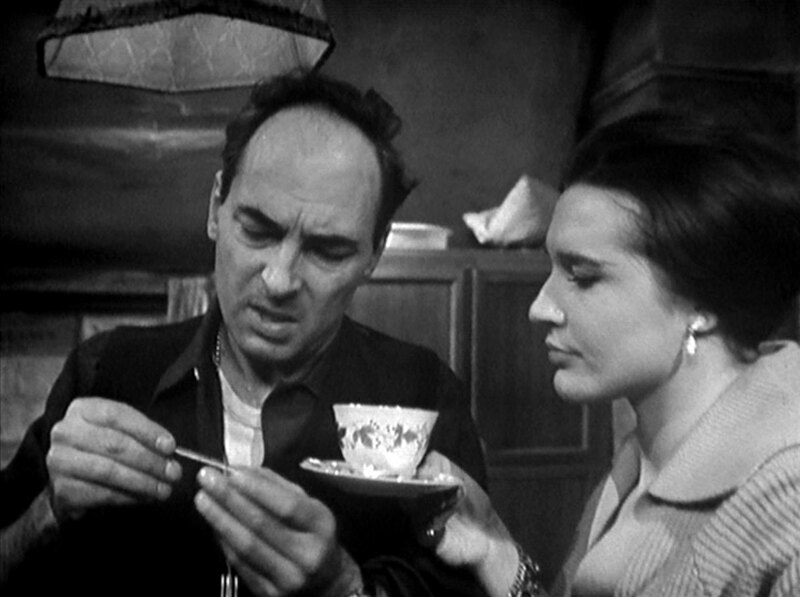 Cathy threatens him, opening the case and removing the eggs. He offers her £100,000 to put them back but she says it's not enough; he offers £200,000 and she accepts - then throws them at him, causing him to collapse in shock. The next day, Steed asks Cathy is she made them of wood and she smiles that they come pre-made - to put in hen houses - but she did have to paint them herself. They go out to see Dr Ashe, who's cleaning up in the green house and he tells a delighted Cathy that his irreplaceable research has been destroyed. She returns the case and he thanks her, but says he won't be needing it anymore. Oh the way out, she complains about Steed disappearing the night before and he tells her he was right behind her all the way. She says, "I didn't see you", and he grins, "Of course not, my dear, you fused the lights, remember?"